We journey as companions and spiritual seekers to Kirkridge for a weekend of reflection and celebration of our lives as gay men in community. Some of us have just come out, some of us have been out for a long time; we are single, married, older and younger: we are from small towns and big cities -- we come together as brothers of faith, heart and spirituality. 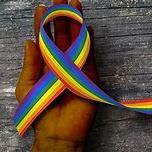 We will reflect upon our journeys as gay men in the context of our humanity, sexuality, faith and spirituality. We will consider together what it means to be gay men in 2019 and we will take time to recall and honor those who have helped us along the way. Join us for times of conversation, laughter and community. There will be time to enjoy the natural beauty of the Kirkridge mountainside and the nearby Colmcille sanctuary. Michael J. Adee of Santa Fe, New Mexico is our retreat guide. He was with us for our 2018 retreat and the 40th Celebration of LGBTQ Lives at Kirkridge.